Our next presenter is IDmission with its suite of onboarding and engagement solutions. INFORM is a fully configurable enterprise product that enables building of sophisticated user experiences without any programming. You can build your own forms with KYC, document management, image processing, biometrics, online calls, rules configuration, workflows, and payments integrated into them. INFORM is integrally connected to Ada, our cloud-platform infrastructure, enabling reuse of all Ada’s software components and connectivity to third-party systems. Product distribution strategy: Direct to Business (B2B), through financial institutions, through other fintech companies and platforms. IDmission utilizes a cloud-based platform that enables identity-initiated customer onboarding and engagement for financial services companies. IDmission solutions allow you to grow and change with the world around you. We haven’t built a product; it’s a platform that will help you solve problems now and into the future. If financial institutions could ask one thing of technology, it might be improving the ease, speed, and security of customer on-boarding. After all, if there is too much friction here at this first impression, a bank may not get a chance to make a second one. 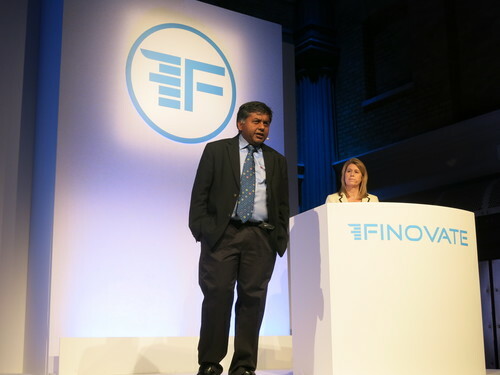 In its Finovate debut, on-boarding specialist IDmission demonstrated its solution to this challenge: a fully-configurable, HTML, front-end application, INFORM. The technology allows users to build a variety of customized experiences without coding. Using the platform, users integrate document management, image processing, biometric authentication and KYC, payments and more into the documents they create. IDmission recognizes the importance of taking advantage of the mobile channel to improve the on-boarding experience and make engagement more rewarding in general. The company is also well aware that on-boarding experiences can vary widely from one financial institution to another, to say nothing of the differences between regions or countries. A robust platform takes this into account, allowing FIs to make specific choices in the data they extract during the on boarding process. The sophistication of data types also needs to be taken into account. In addition to text fields, images, voiceprints, other non-typical data such as biometrics may be part of the FI on-boarding process. That information must be both easily applied to the form by the new customer, as well as easily extracted from the form by the FI. One interesting use case highlights both the security and mobile aspects of the platform. A change in the regulatory environment in a country in Latin America meant new requirements for companies managing pensions. 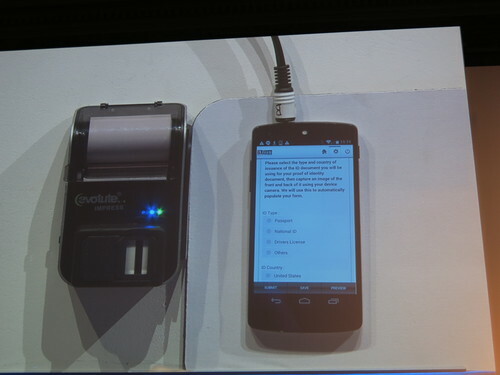 These changes included a move from paper to tablet-based applications, as well as the use of a voice recording to confirm understanding of the transaction, and a fingerprint (actually two, one from the applicant and one from the agent). The new regulations were the very definition of friction in the on-boarding process. Yet IDmission was able to partner with a local firm to develop a product that met all the regulatory requirements, from the new role of the mobile device to the multiple biometric data points that had become key parts of the authentication process. Above: Web-based detail report provides information on accounts. Asked for a key takeaway about IDmission and INFORM, Banerjee highlighted three aspects. The first was the importance of being able to offer paperless automated on boarding worldwide, taking advantage of the growth of the mobile channel especially in developing areas in Asia and Latin America. Second was the idea that biometrics can be integrated into the on-boarding experience in a compliant and seamless way. And third, IDmission’s technology manages to be highly configurable without requiring programming knowledge to set up. “We’ve been building technology platforms for the past twenty years,” Banerjee said, a point he repeated from the Finovate stage at the beginning of his company’s demonstration. “Perhaps even before the word fintech had come into the general vocabulary.” With any luck, and with more innovations like INFORM, IDmission will be here serving the fintech community for many more years to come. IDmission is presenting its cloud-based solution for identity-initiated customer onboarding and engagement. INFORM is a fully configurable Enterprise forms product that enables building of sophisticated user experiences without any programming. You can build your own forms with KYC, document management, image processing, biometrics, online calls, workflows, and payments integrated into them. INFORM is integrally connected to Ada, our cloud platform infrastructure, enabling reuse of all Ada’s software components and connectivity to third-party systems.